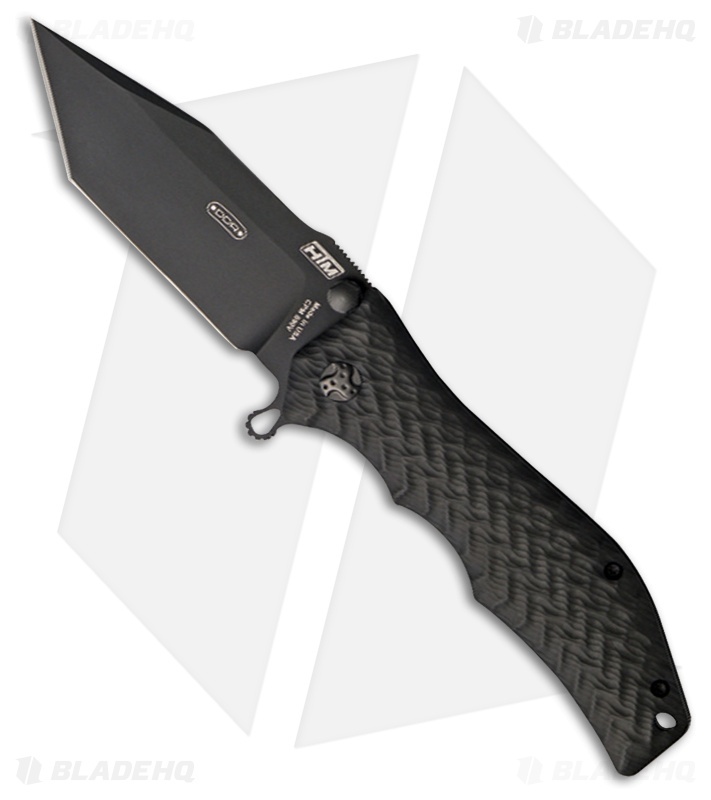 This Large Gun Hammer model has a spring assisted tanto blade in a black DLC finish and a black anodized aluminum handle. The HTM Gun Hammer is a spring assisted knife modeled after Darrel Ralph's custom design. It has an ergonomic tactical (ETAC) grip handle, 3D machined from aircraft grade aluminum with a military Type III hard coat. The blade is premium S30V stainless steel with a DLC finish. Item comes with a padded black nylon pouch.